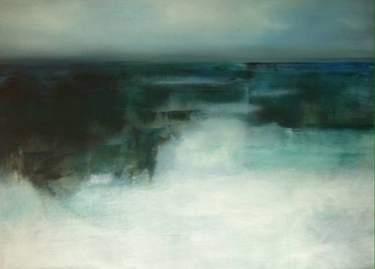 Betsy Giberson was born in Washington, D.C. and completed a BFA in Sculpture from the Rhode Island School of Design. 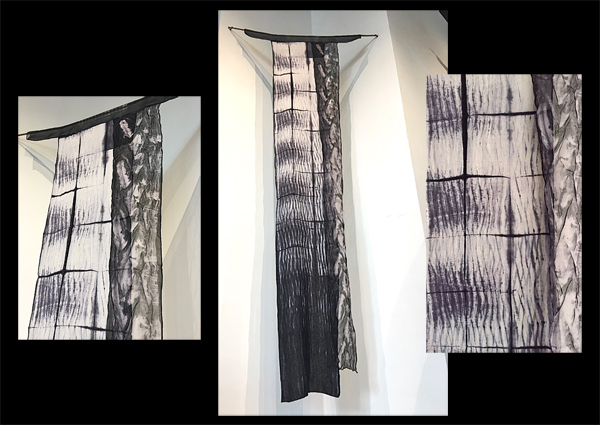 Her background and work in sculpture is reflected in her textile art which features shibori and sculptural elements in collaged pieces with exposed seams. 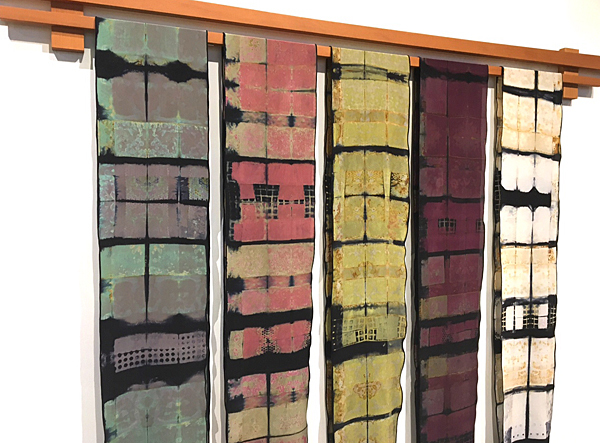 She is exhibited at multiple venues throughout the United States and makes her home in New Hampshire. 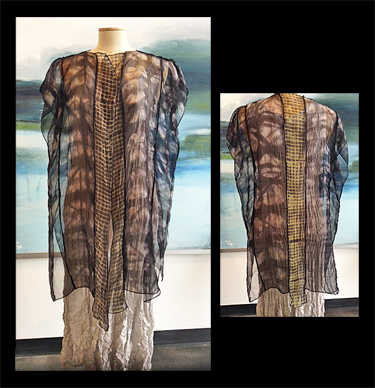 Her garments are exquisitely crafted of crinkled silk crepe de chine, organza and noil. Surface decoration is achieved with shape-resist, piece dying, and overdying. Pieces are often enhanced with stamped designs. 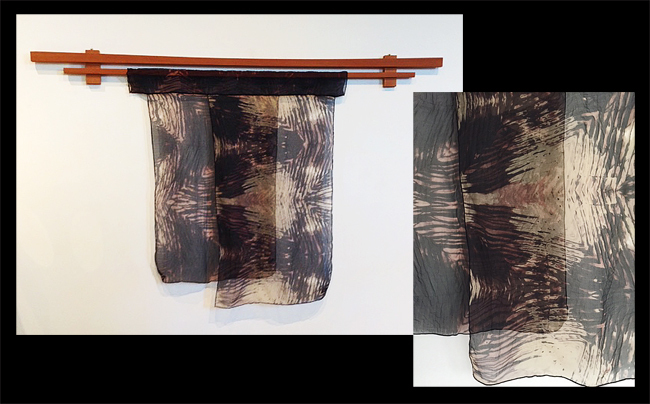 Hand-dyed silk. For further information, please contact the gallery. Can be hung on bamboo, wood or metal rod. Four panels stitched together at top with sleeve. Three panels have folds. 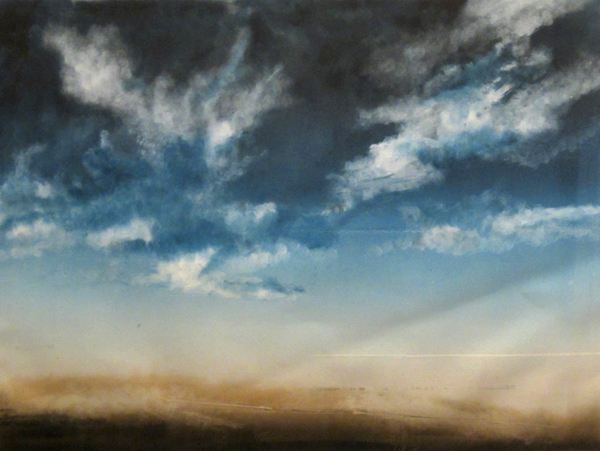 Dimensions: 26" wide, longest panel 52". For further information, please contact the gallery. 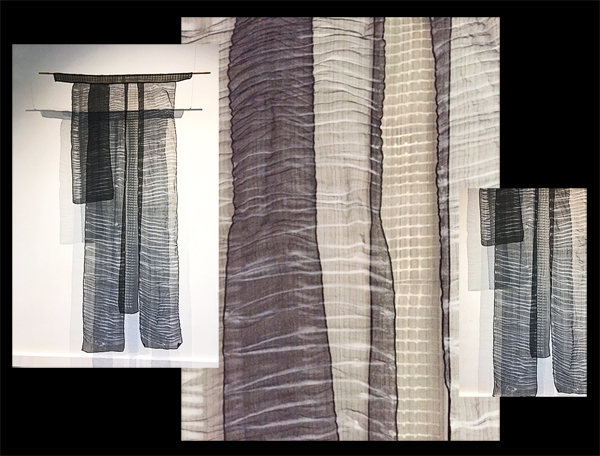 Crinkle crepe de chine shibori. One of a kind. Hand wash or machine wash (no Woolite, shampoo ok) or dry clean. For further information, please contact the Gallery. Dimensions: 25" neck to hem in middle back. 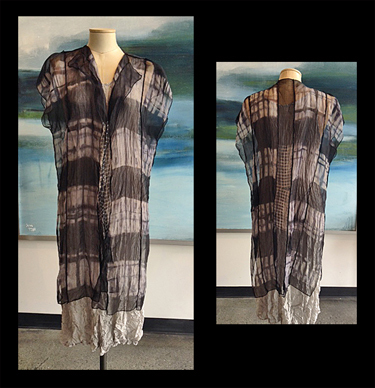 Shown with Carol Lee Shanks 4-panel crushed silk habutai dress (see separate listing). Dimensions: 35" neck to hem in middle back. 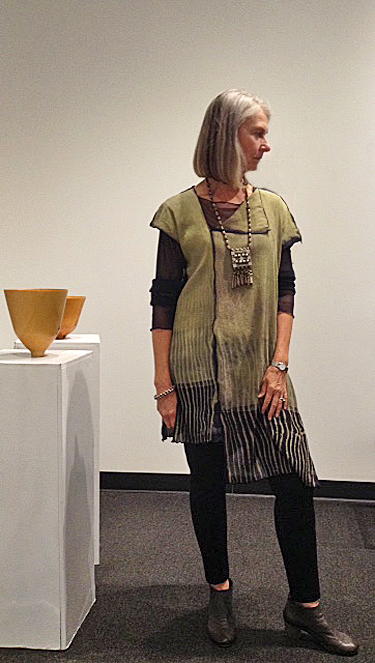 Shown with Carol Lee Shanks 4-panel crushed silk habutai dress (see separate listing). Dimensions: 36" neck to hem in middle back. 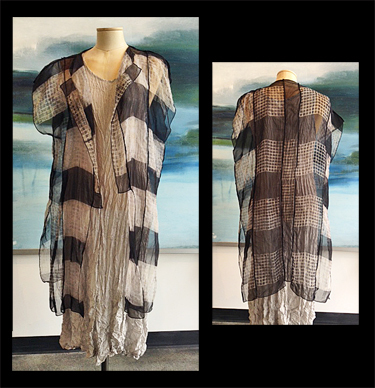 Shown with Carol Lee Shanks 4-panel crushed silk habutai dress (see separate listing). Dimensions: 32" neck to hem in middle back. Large size; the artist can remove a panel if too large. 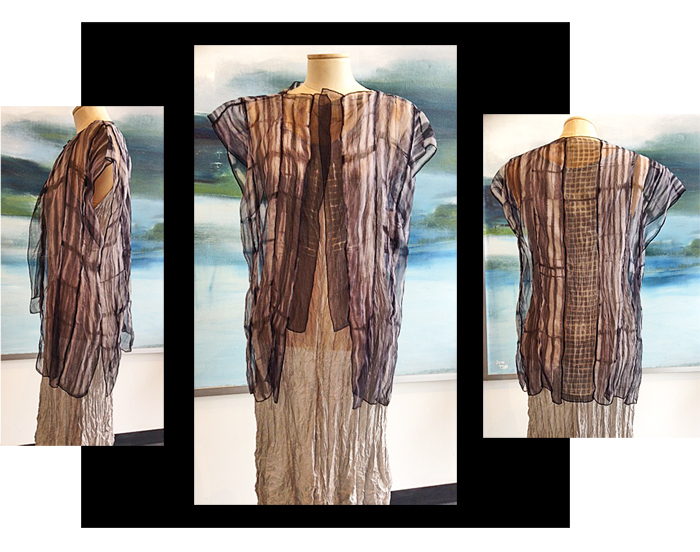 Shown with Carol Lee Shanks 4-panel crushed silk habutai dress (see separate listing).